When French fries are mentioned, what comes to mind is a crispy and golden side dish made of potatoes. But having these fries the same way every day is quite annoying. However, when creatively prepared and presented, you simply can’t resist them. But before that, you need to get a better understanding of French fries. Now, French fries adopted their name based on their country of origin- France. However, some regions call them chips, potato wedges, frites, steak fries, finger chips among other names. All the regions, however, love serving them hot with ketchup, mayo, vinegar, barbecue sauce and sprinkling some salt to improve on the taste. Back to the French fry creativity. You probably do not know that an average American consumes about 30 pounds of French fries every year. It is for this reason and more the National Fry Day was created to give French fries lovers a chance to enjoy the crispy dish. Since the day is only a few days away, it is necessary that you be aware of the tastiest and most creatively made American fries and places to get them. Restaurants have taken the French fries a notch higher by serving it in all manner of creative ways. From topping the dish with intriguing ingredients to the innovative presentation, just to satisfy your taste buds. The same way the name sounds outrageous so is the taste of these fries. 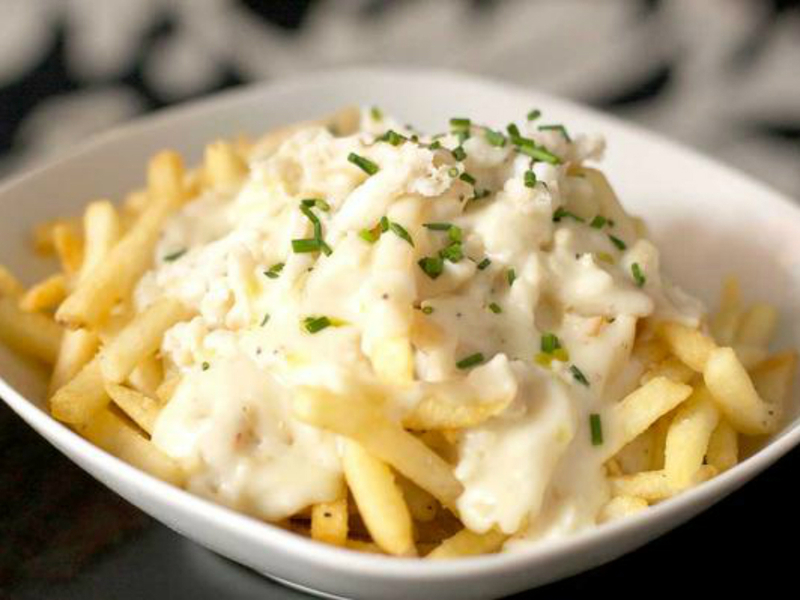 The fries are thinly cut and then cooked to perfection by tossing them in a coating of truffle oil before topping them with lump crabmeat. Some fry lovers also like it when the dish is topped with melted cheddar and finally dusted with Parmesan. There is no doubt these French fries will keep you asking for more. Although several other restaurants are trying to serve the dish the same way, one hotel in Philadelphia has beat them all-Varga Bar. However, to test if that is the case, why not visit the Bar this International Fry Day. Are you planning to visit Los Angeles soon? We have some good news for you. Be sure to stop by FrySmith for some tasty Rajas fries. 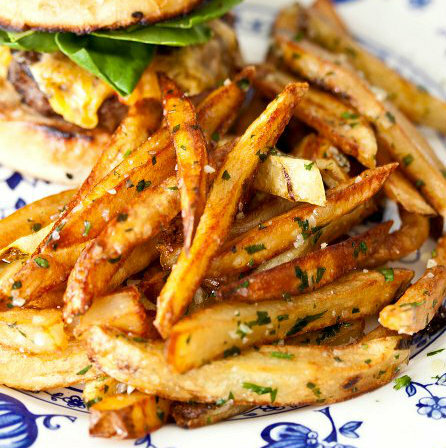 The chefs behind FrySmith understand the Americans obsession with fries and therefore aim at quenching the taste buds craving. Rajas fries are made with fire roasted poblano chiles, onions that have been caramelized, shawarma marinated steak and the famous and tasty melted Jack cheese. Although this combination seems outrageous, the final product and flavor are heavenly. The best thing with Frysmith is that they are a mobile food truck and sets shops in various places. Be on the lookout and spot them soon for some Rajas fries. Anyone who knows this Idaho shop isn’t shocked that it made it to this exclusive listing. Located in Idaho, Boise Fry Company has an unmatched connection to their potatoes. Their fries are made to perfection with a variety of options to choose from- russet, purple, Okinawa, gold, yam and sweet. The potatoes are also cut in innovative ways such as the famous home-style, curly, shoestring, po-balls and regular. There is no doubt American chefs go to every height just to make French fry lovers happy. Three-quarters of American households love eating bacon and cheese for breakfast. This large number shows the extent to which Americans are obsessed with these two products. 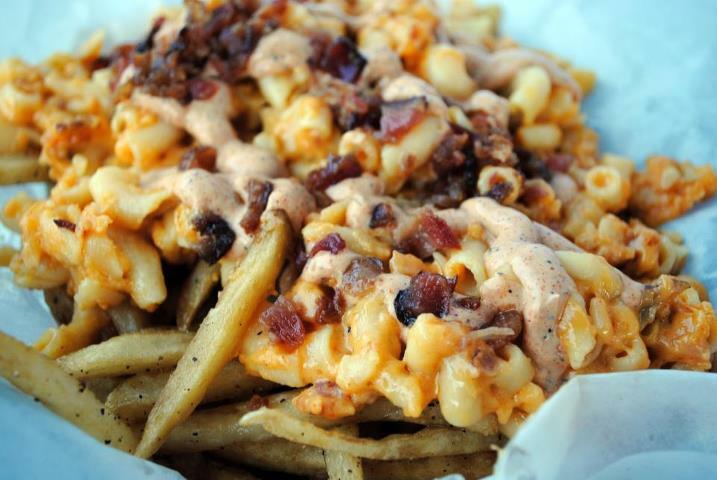 It could be the reason Jonesy’s EatBar in Denver created a twist in their French fries by adding bacon and cheese. 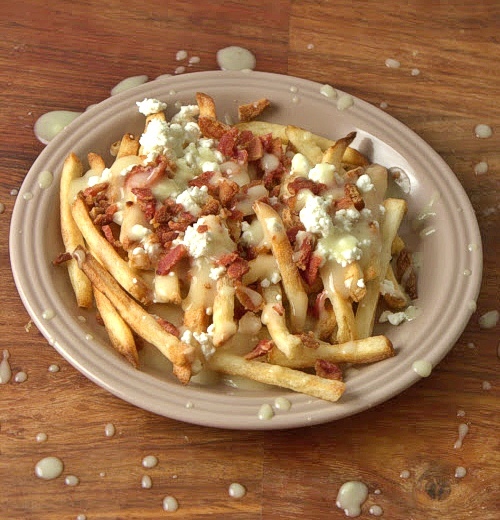 Their fries attract a big number of people due to the cheesy béchamel sauce and crispy bacon used as topping as well as fresh chives used to garnish the fries. It is possible that you now have a clear picture of the final product- crispy, flavored ad tasty. If you love cheese like most Americans do, then you need to try out this dish. These French fries are made carefully by tossing them with fresh goat cheese to give them a shiny look. The masterminds behind the delicacy also add some homemade raspberry sauce to bring out the irresistible sweetness. 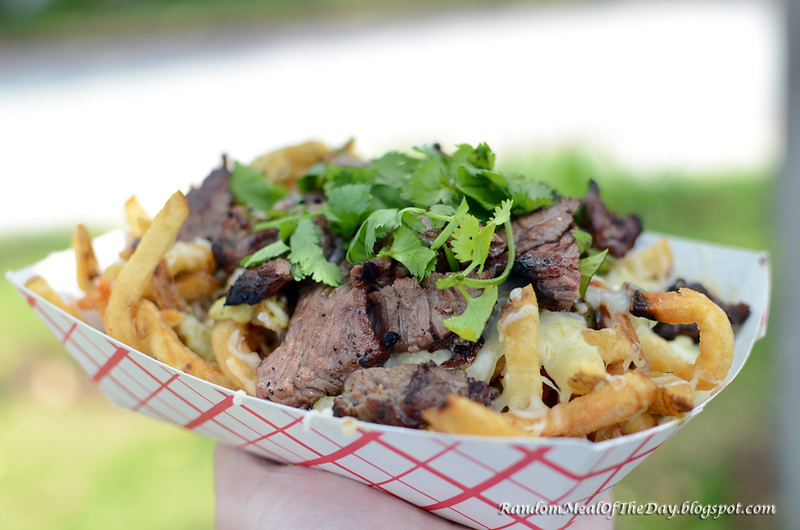 The experts renowned for these French fries are a food truck restaurant based in Los Angeles. While there, you may also sample their other fries they such as the Peanut Buttercup made from sweet potatoes. 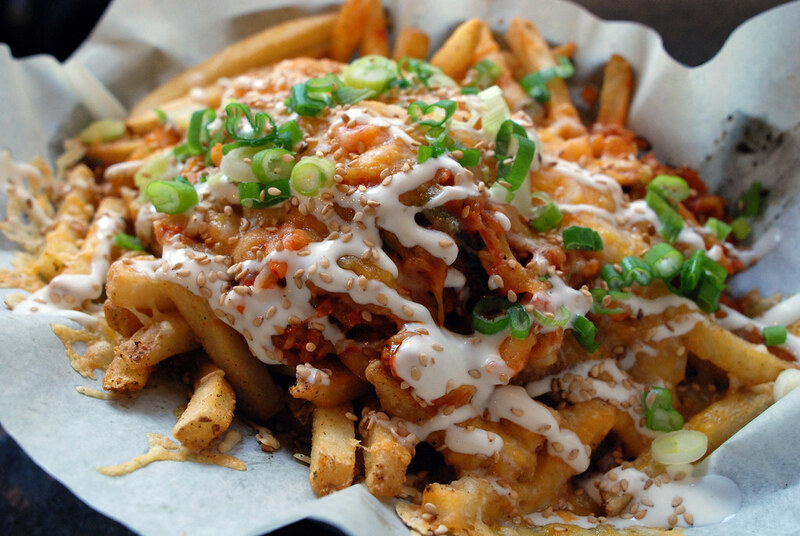 If you are based in Chicago, you can give these fries a try by visiting Del Seoul, Chicago. Although the restaurant is known for serving Korean food, their French fries are irresistible. Kimchi fries take this position due to the outrageous topping that gives them a unique flavor. The toppings include sautéed kimchi, onions, scallions, Melted Jack Cheese and Cheddar. The outcome as you can imagine is crispy, sweet, sour, spicy and creamy. 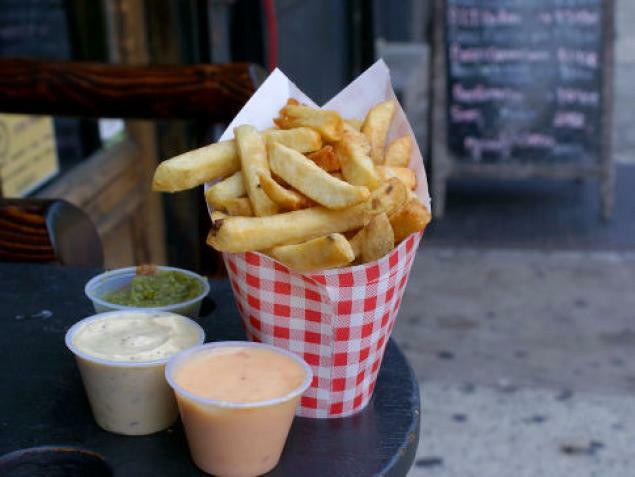 Unlike many other restaurants, Pommes Frites is a French fry-only shop located in New York City. Their fries are crafted in a Belgian style that makes them thick and full. It gets interesting in the serving and presentation due to the wide variety of sauces provided. You may also opt for pomegranate teriyaki, Vietnamese pineapple or smoked eggplant mayo. Other options include Curry Ketchup Especial and Irish curry sauce. Even though the term French fries sounds very international, Americans are quite attached to the snack. Actually, fries are served in almost every restaurant across the country. For this reason, chefs are coming up with all sorts of creative ways to make this dish more appealing to you. With the above overview of the America’s unique French fries, there is no doubt you already know where to nurse your craving any day. You can create your own signature french fries too! Head to Vons to get the best ingredients. To get the most out of it, don't forget to use our coupon for Vons. Even better, you have a variety of joints to celebrate the International Fry Day.